Former Scarborough batsman Adam Lyth is determined to prove he can play at the highest level of the game after selectors kept faith and selected him for the Third Test at Edgbaston, which starts on Wednesday. Lyth has struggled in the series to date having scored six and 37 at Cardiff and then zero and seven in the 405-run drubbing at Lord’s. But the Whitby man’s confidence in his own ability won’t waiver and he is aiming to silence any critics as England look to bounce back in Birmingham. He told The Scarborough News: “I would have liked to have scored more runs, of course, but I have to look forward now and Edgbaston is another Test. Speculation was rife that Lyth would face the axe after a disappointing series, with Sky Sports pundit Bob Willis particularly scathing in his assessment of the left-hander. With the faith shown in him, Lyth has received an incremental ECB contract. Lyth has reached the 20 points needed to win a contract having played four Tests in the current contract period – two against New Zealand and two against Australia. 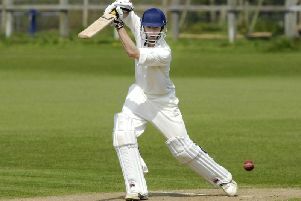 “I’m delighted to get another go at Edgbaston and I feel there’s a big score just around the corner for me,” added Lyth. Lyth expressed his delight that fellow Yorkshire batsman Jonny Bairstow has been picked for the Third Test after averaging a spectacular 100.66 in the County Championship so far this season, but also admitted his disappointment at the exclusion of Gary Ballance from the side. Lyth added: “I’m delighted for Jonny, he’s been in fantastic form for Yorkshire and he deserves his call-up. “He’s been there and done it at the top level and has experience of Ashes cricket too, which will help. “It’s nice to see him back in the side too, it’s an opportunity for Jonny to come in and show what he can do.